Advanced Urology practice for adult and pediatric case, treating problems of the male urinary tract and male reproductive organs. Dr. Anish K Gupta has been the overseeing physician at Indian Urology’s main campus for the last 5 years. He’s a fierce proponent of men’s health and has dedicated himself to not only treating patients but also educating them about the issues affecting their quality of life. Dr. Gupta is personally involved in the training and development of all the staff at North Delhi Nursing Home to ensure that every patient receives the highest level of care in the industry. Dr. Gupta has special interest in Pediatric Urology, Andrology and Endourology. 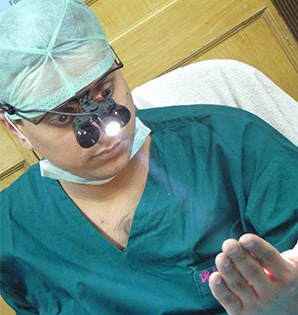 He is trained in both, Uro- Oncology and Pediatric Urology from World Famous Centres. Read More. Urology is one specialized medical science which deals with the urinary tract that relates to ureters, urethra, bladder and kidneys, in both men and women. Urolithiasis, in simple terms is the formation of the kidney stones. In medical terms it is the formation of the urinary calculi or urinary stones. The doctor has a great Ability to understand problems of the patients and is able to relate it with the cause of the disease. he do not try to push for extreme measure a for the treatment for example surgeries instead try to cure the disease with medicines. My experience with Dr Anish Gupta has been very good. The doctor has a great knack of understanding the problem and he also discusses the problem and possible line of action comprehensively. The most important part of my entire experience was that the doctor did not try to exploit the situation by asking me to go for random tests, infact he gave me a practical line of action, which would cure my condition. Also I found the price for consultation and surgery quite reasonable. Overall a great experience with Dr Anish Gupta and I highly recommend him for any issues regarding Urinary problems. We visited the doctor first time and were little hesitation about young and in experience doctor. But after visit in him were happy and wring with our theory. He explained each and every thing to us without hesitation. Our treatment has been started.